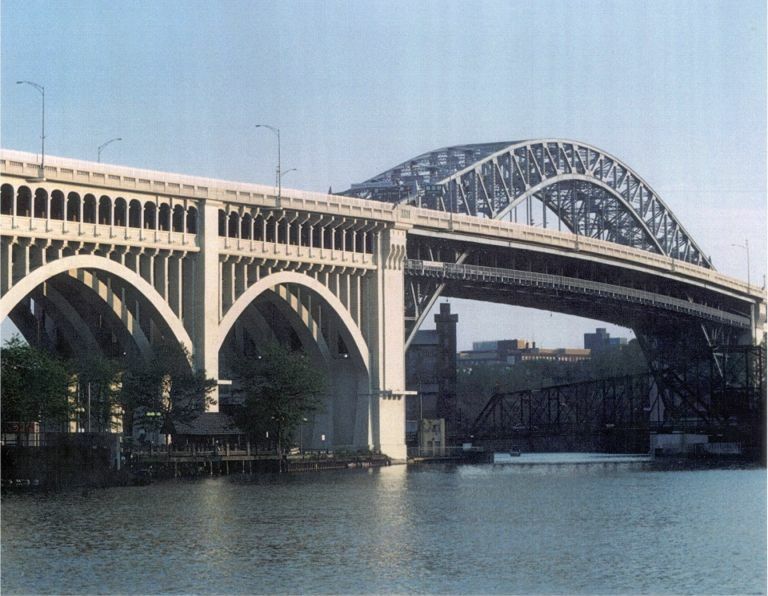 The Detroit-Superior High Level Bridge (now named the Veterans Memorial Bridge) was built to relieve the traffic problems on the 1878 Superior Viaduct, which stood just to the north. 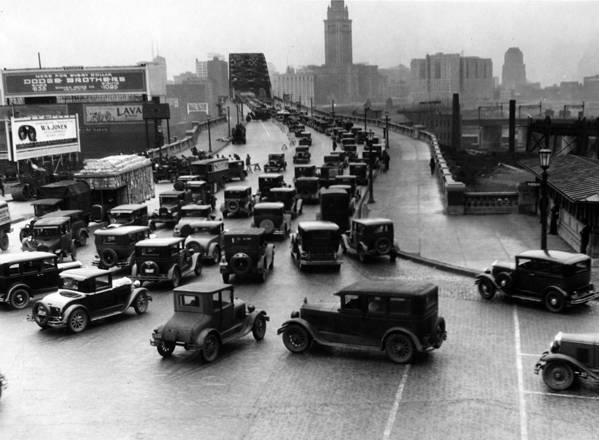 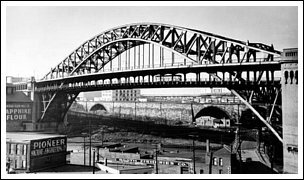 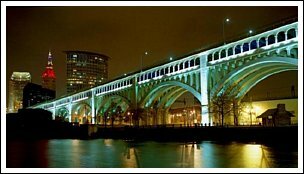 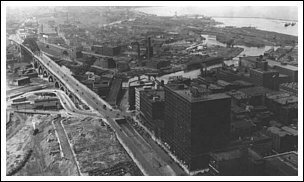 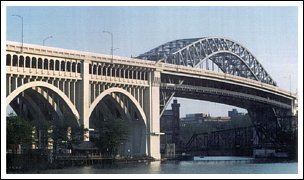 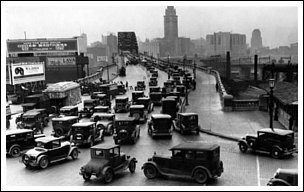 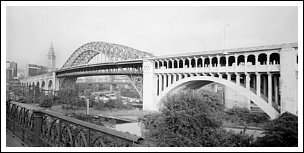 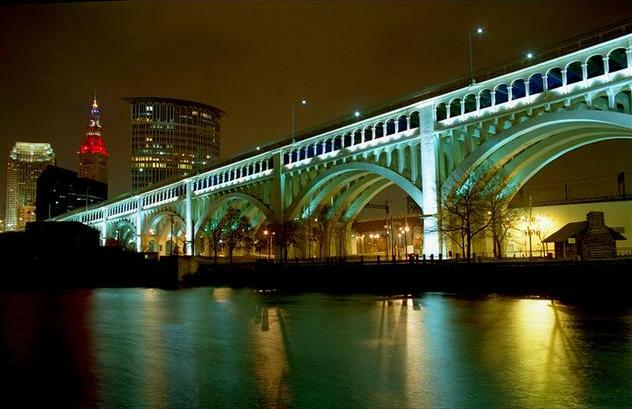 It took five years to construct, finally opening to traffic on Thanksgiving Day, 1917, and was the first high level bridge to span the Cuyahoga River. 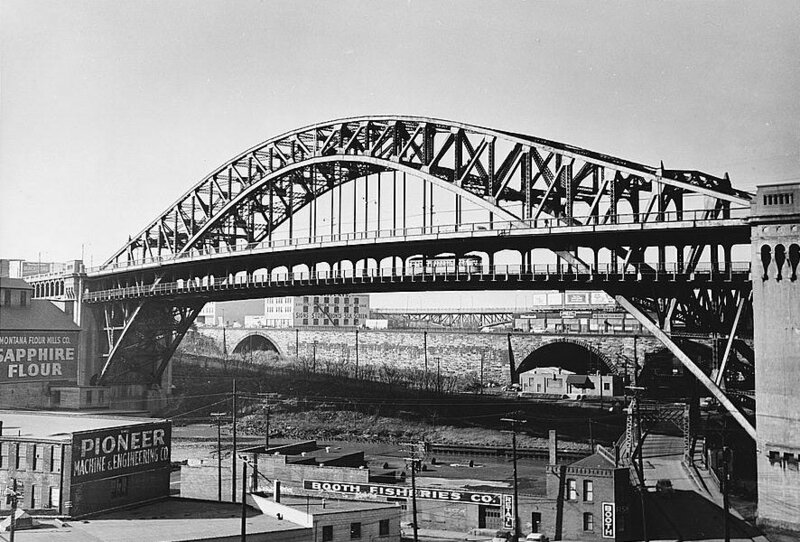 It stood 96 feet above the river, and stretched 2,880 feet long. 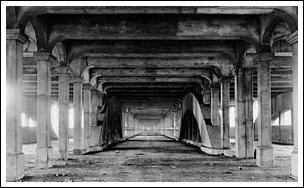 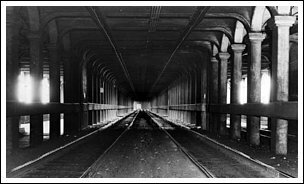 Of greatest importance to the interurban lines, was the bridge's "subway deck" beneath the main roadway. 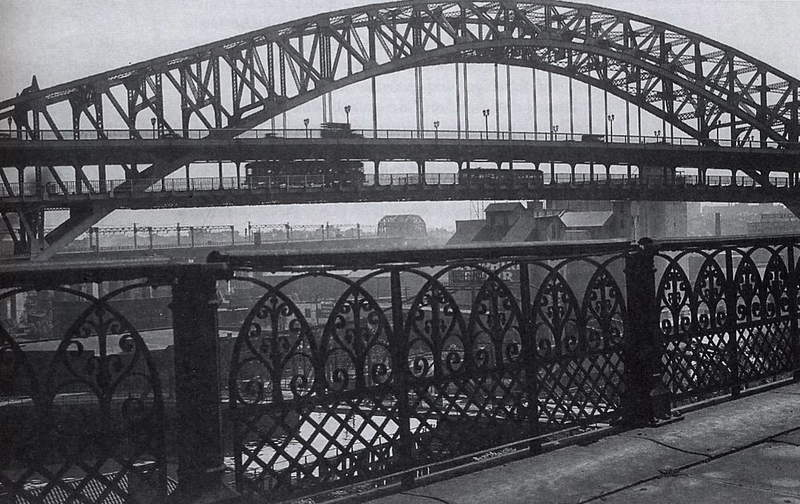 Tracks descended ramps at either end of the bridge and allowed interurbans to swiftly cross the entire length while avoiding traffic problems above. 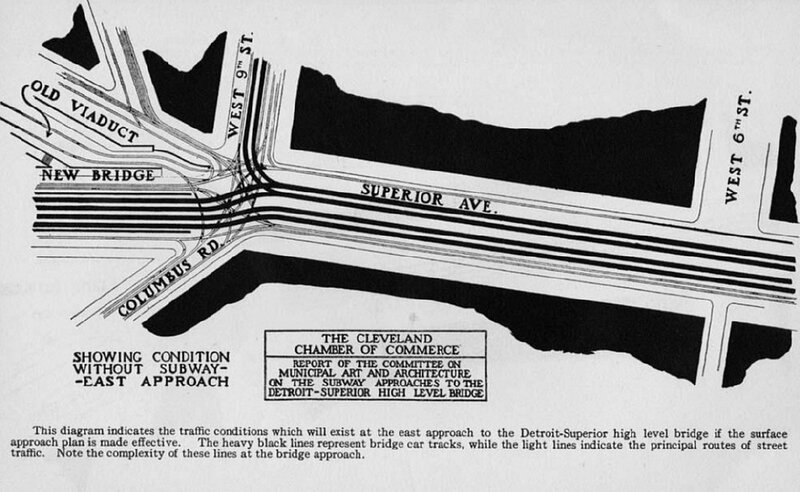 Original plans called for the ramps to be located on the bridge itself, but were changed in 1916 to incorporate short subways under nearby streets. 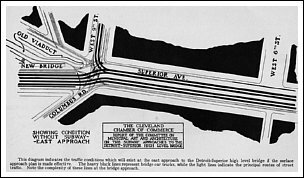 A traffic study showed the messy, if not crippling, traffic congestion that could result from a "surface approach." 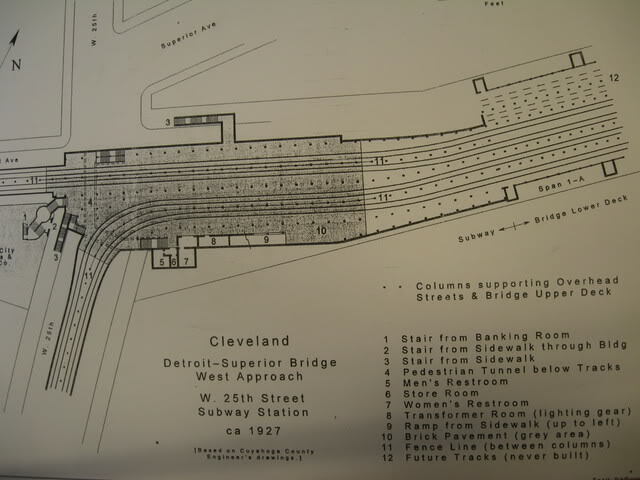 The east subway ramp was located on Superior Ave. just east of West 9th Street, while the west ramp was located on Detroit Ave. just past West 25th Street. 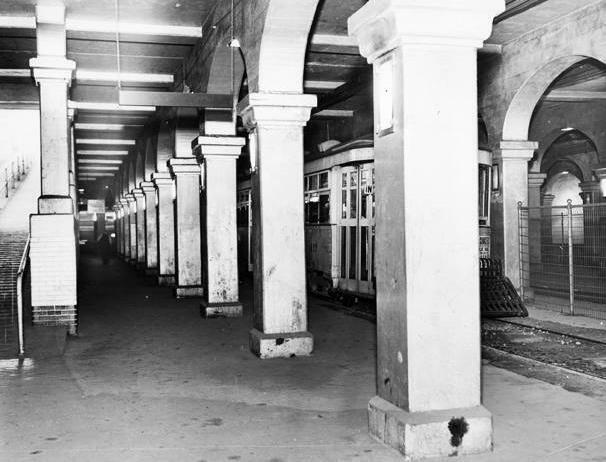 The subway deck was built to accommodate six sets of tracks, but only four were ever installed. 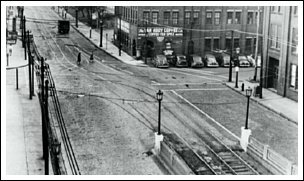 This left two "ghost lanes" on either side of the bridge which were never utilized. 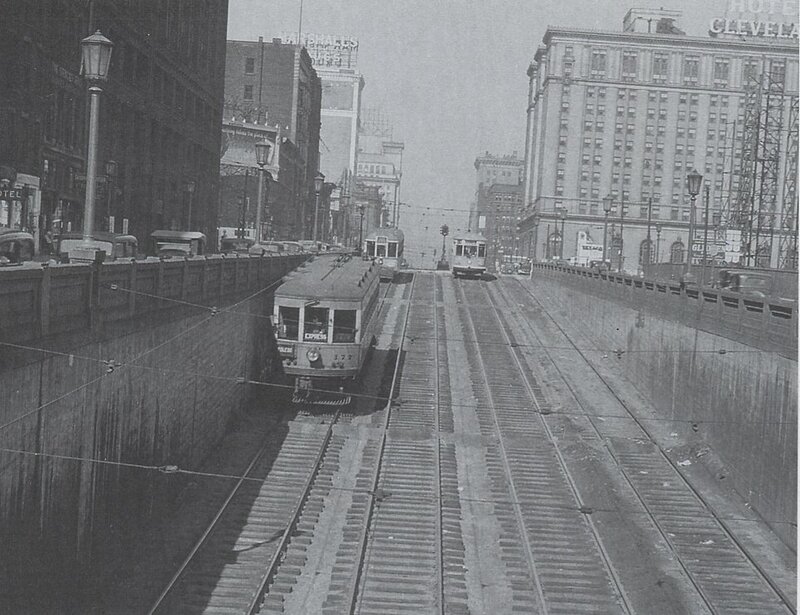 All four tracks descended the east ramp together, while on the west end two sets of tracks emerged onto Detroit Ave. and the other two (used by the city streetcars) turned south and emerged from a ramp on W. 25th Street. 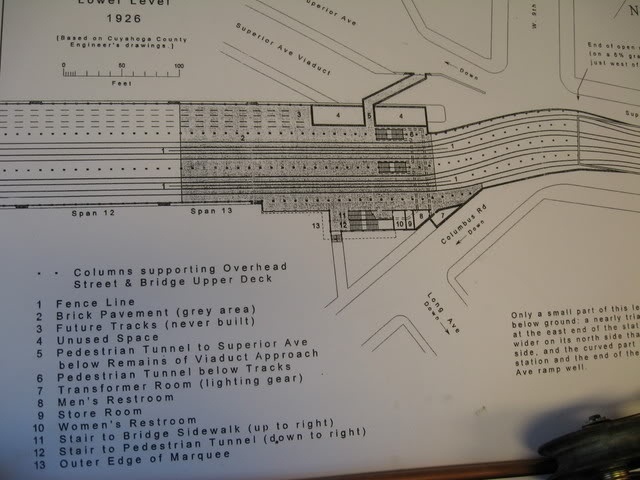 The subway deck also included passenger station platforms at either end used by the local streetcar lines. 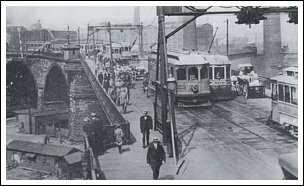 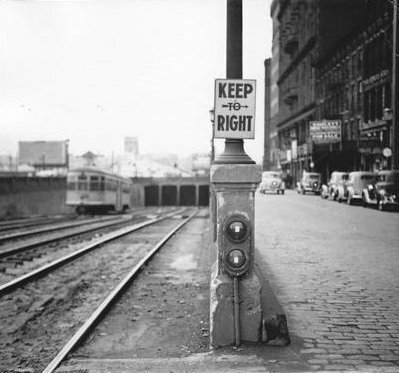 The Lake Shore Electric was prohibited from making any local stops between Public Square and Rocky River and therefore never used the platforms. 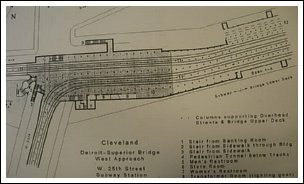 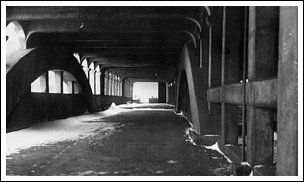 Early plans were also made to use the Detroit-Superior subway deck as a link between future subways extending under Cleveland on both sides of the Cuyahoga River. 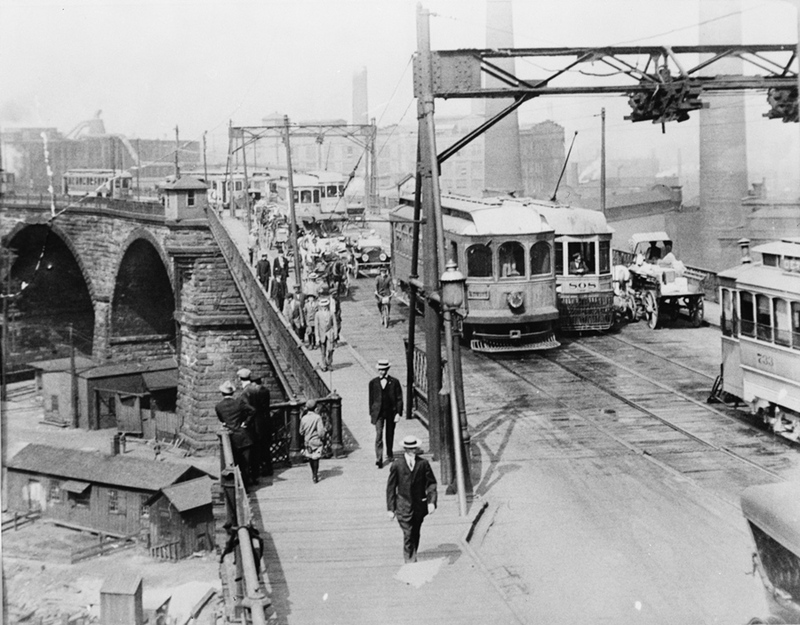 The plan was made public in 1919 but was turned down by voters in 1920. 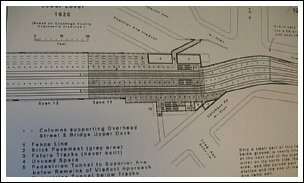 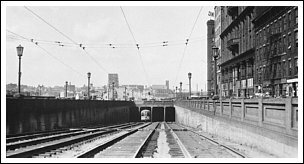 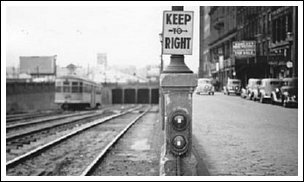 Other subway proposals were made through the years into the early 1950's, but none were ever approved for construction. 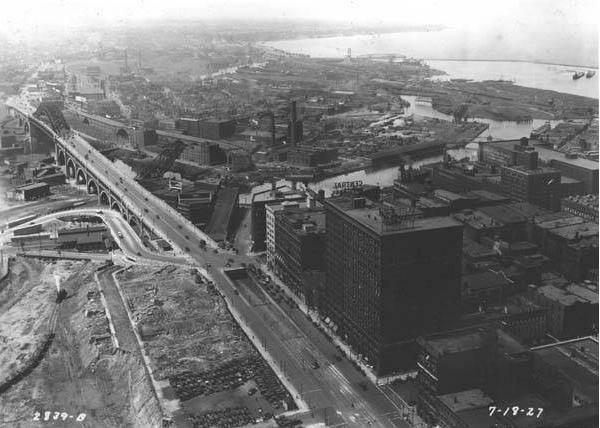 The Lake Shore used the Detroit-Superior bridge until the end in 1938. 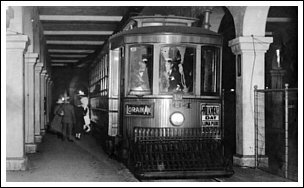 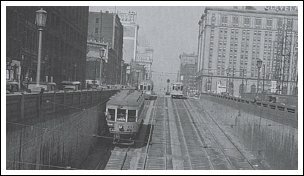 The Cleveland Tranist System continued using the subway deck and platforms until its own streetcar service ended. 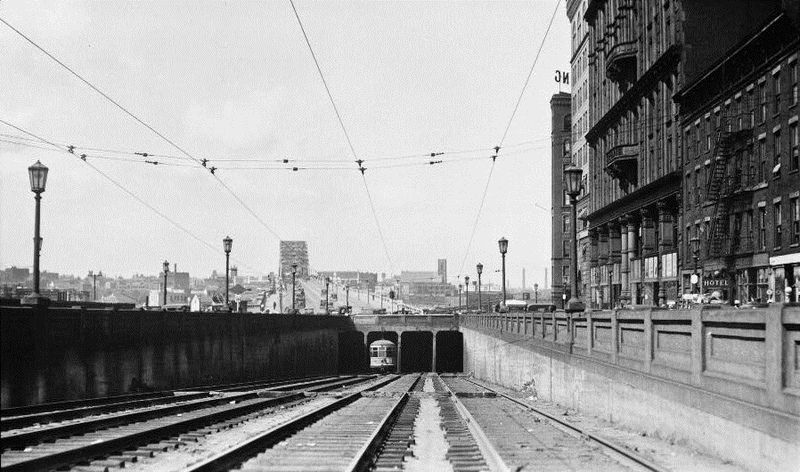 Attempts were made to convert the subway deck for automobile use but proved impractical. 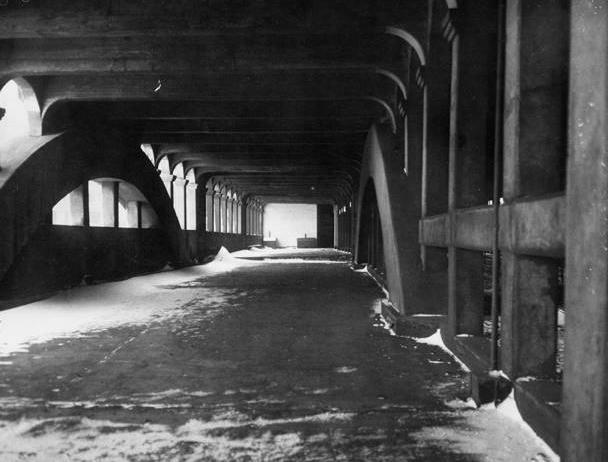 The ramps were covered in 1955, and few motorists today have any idea what is under the road as they drive across the bridge. 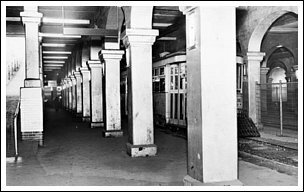 Today the lower deck and platforms are occasionally opened for the public to tour. 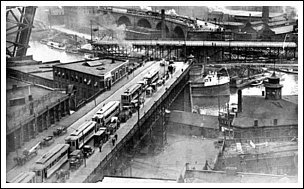 #177 heads down the east ramp on its way to Toledo. 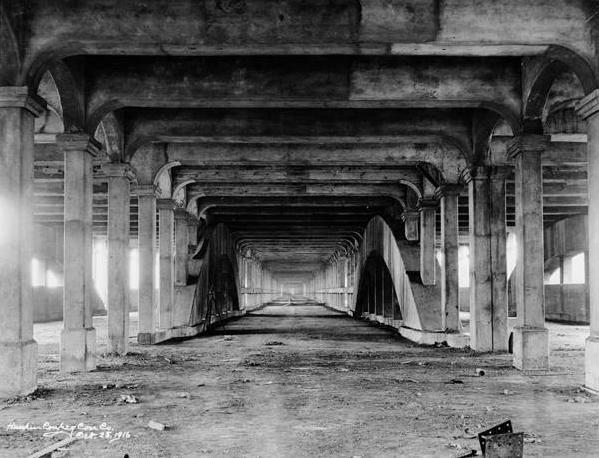 East ramp, view to the west with bridge in background. 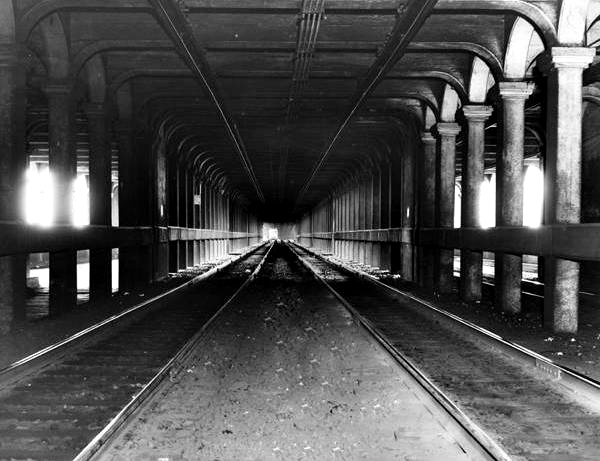 Long view of subway deck before rails were laid, 1916. 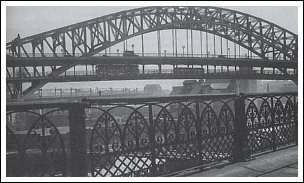 As it looked with rails in 1939. 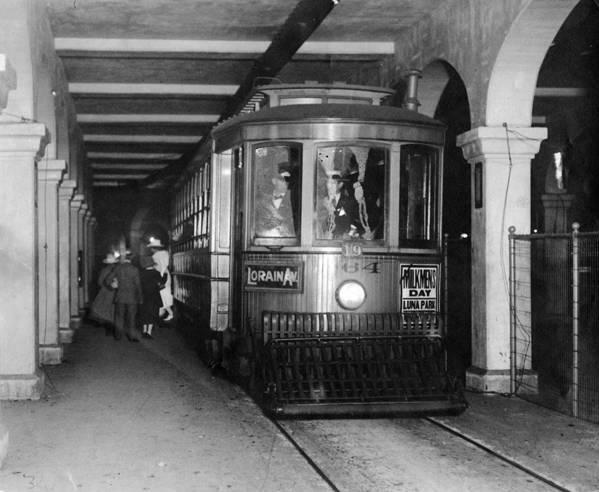 A local streetcar makes a stop at the subway station platform. 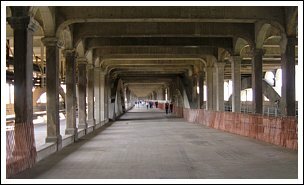 The east subway station in 2005. 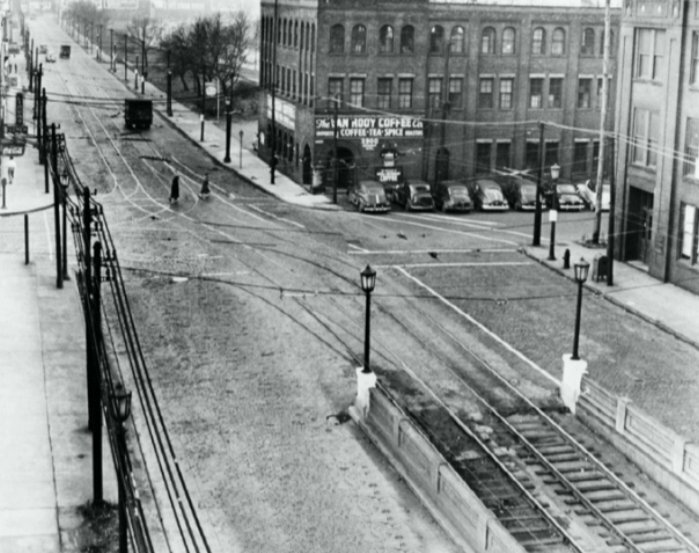 Two tracks emerge from the west ramp onto Detroit Ave.
which the Detroit-Superior bridge was built to relieve. 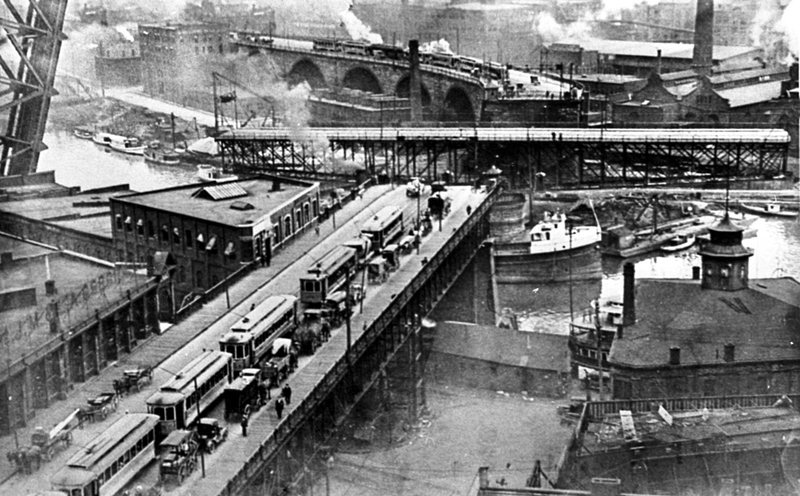 while boats pass through the Superior viaduct, June 1912. 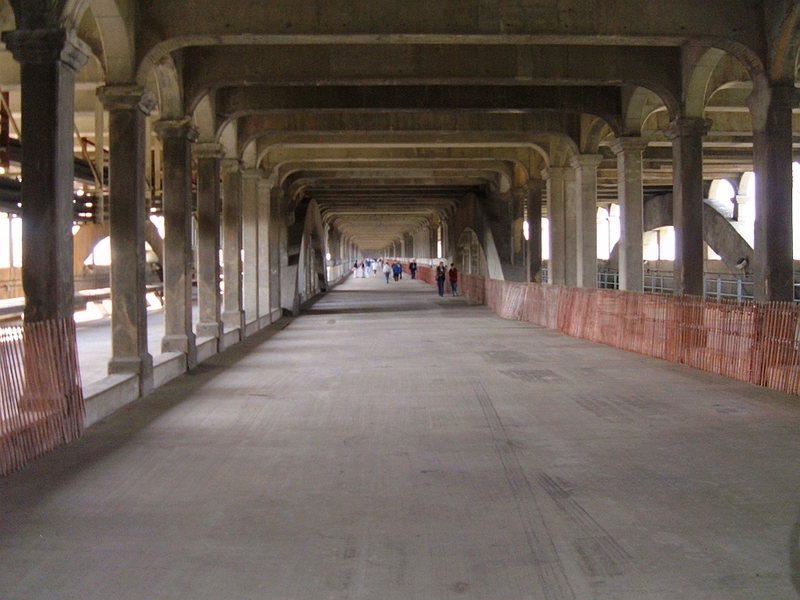 One of the never used "ghost lanes" on the subway deck. 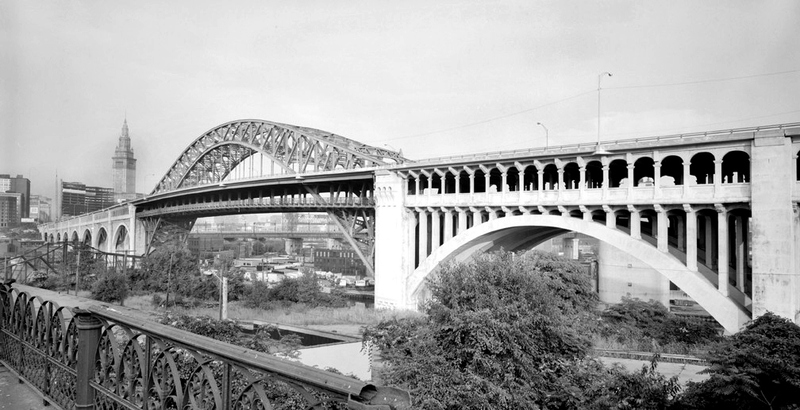 Modern view of the bridge taken in 1998.